Sven is realizing sustainable growth for ventures as an entrepreneur and investor for over 12 years. With his unique insights from both sides and ability to drive strategy to execution he concluded mutual successful investment and M&A transactions in Europe, the US and Asia. His particularly strong sector expertise is in Consumer Internet, Retail, Enterprise Software and IoT. Sven enjoys leveraging his global network to help ambitious entrepreneurs re-imaging markets with the right partners. Before having joined i5invest in 2017, he implemented as CFO the buy-and-build strategy at SwissCommerce. 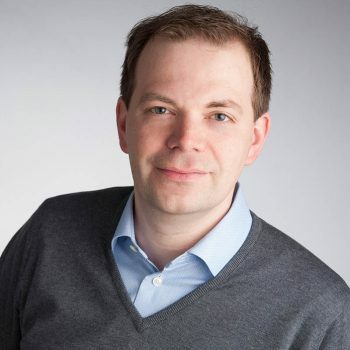 Previously, Sven led the business development at DKB Household, an international consumer goods company, and was a Principal at btov Partners until 2013, having joined the venture capital fund in 2004. Sven has founded em2 to advise growth companies as #StrategicCFO and is co-founder of the Swiss interior design shop designique. He has a Master in Business Administration from the Catholic University Eichstätt-Ingolstadt.